Bite sized chunks of sugar, crunchy and plant-based goodies, this recipe is a staple for when I need a quick, crowd-pleasing treats. 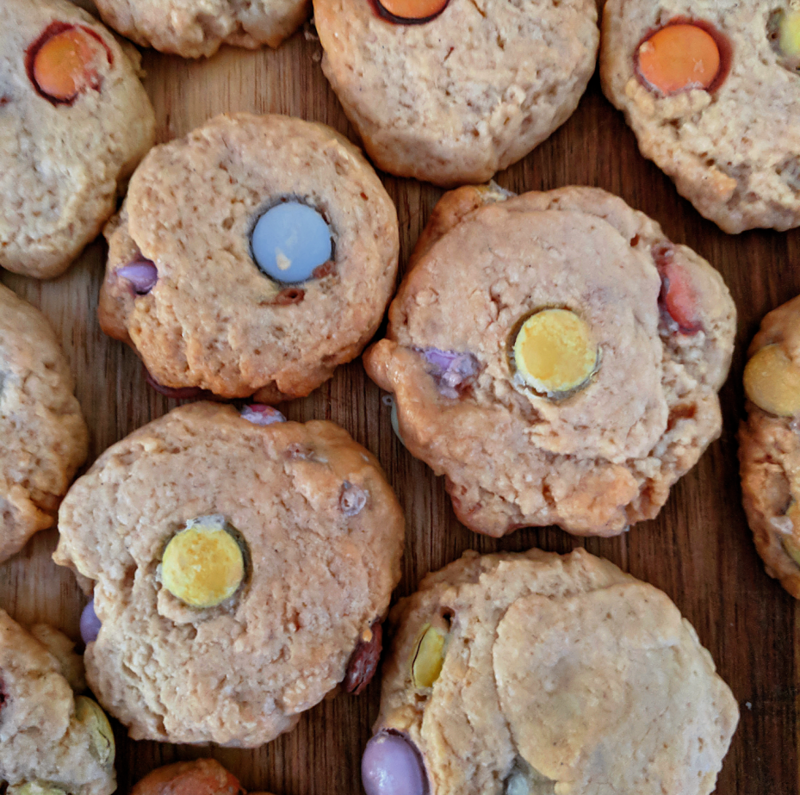 I used vegan Smarties, but unfortunately the only brand I could find locally didn't hold its colour, so they aren't as vibrant as I had hoped. Nonetheless, they're fun, easy to make and really tasty, which make them the perfect party treat! *And if you know of a great brand of vegan Smarties or M&M's, comment on this post to let me know! Preheat oven to approximately 190 degrees Celsius and line a large baking tray with baking paper. In a stand mixer fitted with a paddle attachment, beat butter and sugar together until smooth. Add remaining ingredients except for smarties and beat until mixture comes together. Using a spatula, carefully mix in smarties until just combined. Scoop dough onto prepared tray and bake for approximately 25 minutes, or until cookies start to brown on the outside and are cooked through. Leave to cool before serving and store in an airtight container at room temperate or in the freezer until ready to enjoy.